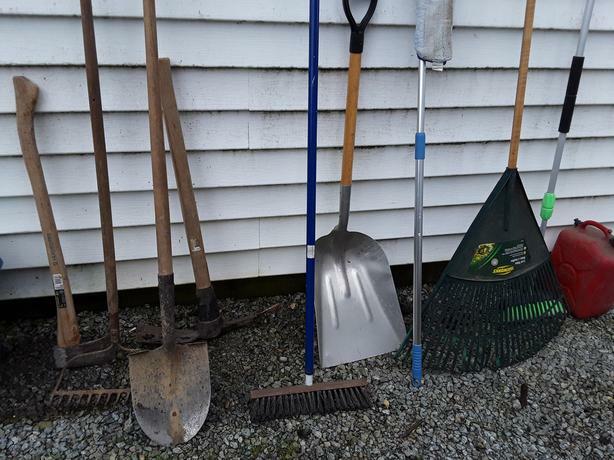  Log In needed $40 · Garden tools etc. 2 rakes, 2 shovels, pick, axe, gas can, broom and brushes. Must take them all. Moving.